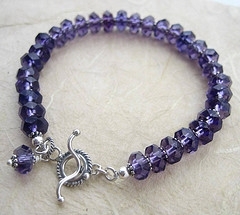 meaning of wearing a purple crystal bracelet? forgive, well, good luck ……………. This entry was posted in Crystal Glitz and tagged accessories, bracelet, crystal, etsy, stuff on July 18, 2009 by admin.